Recently, I needed to switch away from SurveyMonkey, which, while still a useful free service for quickly collecting some basic Survey results, leaves much to be desired in terms of what they offer in their basic version. Of course the fully paid versions offer significantly more functionality, but the upper-end of the pricing schemes that do everything I needed are just way out of my price range for small individually-funded and/or non-budget independent projects. 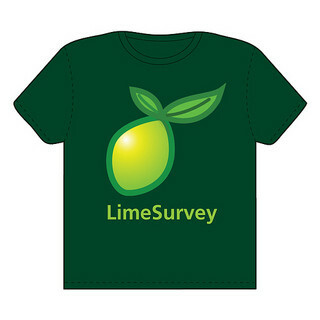 This lead me to LimeSurvey (formerly PHPsurveyor), the leading open source web-based Survey data collection software, with a back-end written entirely in PHP. Getting LimeSurvey installed on my own server was incredibly easy, just download the latest release version and upload the files via FTP. Then load the installation script and it will guide you through the remaining install steps (which are basically just setting a username/password for the administrator account, as well as database configurations such as connection info, table naming, etc). Pretty standard fare for a long-running open source PHP project with a solid development community in place. What really set LimeSurvey apart from the alternatives though, was the extensibility offered by its API, dubbed RemoteControl2 (with support for both XML-RPC and JSON-RPC). I had initially started out with XML-RPC since I’m kind of a nerdcore “semantics” guy, and favour XML over JSON for most server-side integration use cases (unless I’m publishing data for client-side consumption, then I almost always favour JSON). 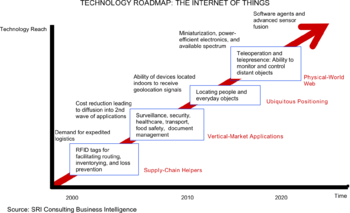 The reason, well there simply are way more tools and methodologies already in place for XML than JSON and the reliability mechanisms built into XML such as well-defined schemas (DTD/XSD) which provide data validation, namespsaces (ns) which prevent conflicts in name/value label namings and help ensure you get the right values when parsing, stylesheets (XSL/XSLT) which allow for on-the-fly transformations, query languages (XPath and XQuery) which simplify data filtering and extraction tasks, and XML security mechanisms such as Digital Signatures which enable better security. However that’s all sure to start a debate on here. The point is, I wanted to go XML-RPC, I really did! However I have to say, the simplicity of their JSON-RPC API which seems particularly well-implemented won me over. Like most Canadians, I have paid way more than I care to admit to the greedy Telcos over the past several years. 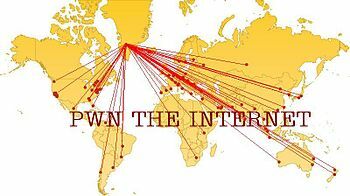 My estimates put my average monthly bill for two smartphone plans and a home telephone line with an international long-distance plan at approximately $175/month (some months higher, some months lower, but that’s the average). Carry that cost over 12 months per year and about 5 years since I’ve been back in Canada and at the mercy of the Telcos, and you’ve got a scary picture. Add in Internet, TV and Movie services (i.e. Netflix) and what you’ve got is blatant wastage and inefficiency, something I intend to put an end to now that my major smartphone plan’s 3-year contract is coming to an end. Feel free to jump straight to my problem and my proposed solution right now, but I’ll lay out some background on my particular situation, and what lead me to this current fleecing and desparation to find an alternative. At first I ended up with three separate carriers, which is almost never the cheapest way of doing things, but almost always the way a typical household ends up. As families grow, couples may have had separate services, and its not always easy or even possible to package, bundle or combine services due to prior contracts. It’s easy to blame the greedy Telcos, but at least some of the responsibility for this situation rests on my shoulders as a result of laziness or simple lack of time and energy to do anything about it sooner and/or do more research into all the possible alternatives. Being incredibly busy but needing to fill an immediate need for services to get my wife a phone since I had no home phone line, before I had much chance to figure out how badly I’d be getting screwed, I had myself signed on to two 3-year contracts with two separate carriers. Later, I needed to add a second smartphone plan, mostly because I had to get a Mobile phone plan for my wife before she was actually a permanent resident, and at the time there was a “special offer” on at Rogers that would have made it cheaper than adding a second line to my existing Bell-Aliant account. What I didn’t know was that despite it being cheaper, Rogers tends to hike their rates more later on down the line. Live and learn I suppose.